Chennai Airport on Sunday witnessed falling and shattering of a massive glass panel, which sent a wave of shock and panic among bystanders. 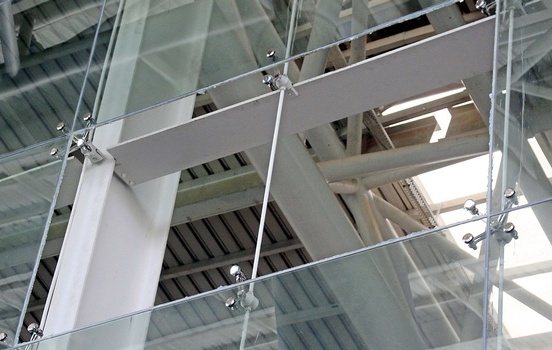 A glass panel measuring 6 feet by 3 feet, which was a part of the exterior facade of a new terminal at the airport, fell from a height of nearly 30 feet above the first floor and crashed all the way down to the ground floor, splintering pieces of glass every where. Many passengers were entering the departure hall, while a family was sitting nearby; but fortunately, no one got injured in the accident. Describing the incident, a CISF constable said, "It was 9 am . there was a loud sound from downstairs. When we went and saw, the glass panel had fallen nearly 100 feet and shattered over the plants on the ground. A family was sitting nearby, but luckily no one was injured." A spokesperson for the Airports Authority of India (AAI) confirmed the incident, and said that they would install an aluminium sheet to cover the hole and the contractor would be called to make the required repairs. Falling and shattering of glasses has become a routine occurrence at Chennai Airport. Over the last one year, the airport has witnessed falling and shattering of glasses as many as 15 times. Around a week ago, a glass door shattered on the tarmac side. Frequent shattering of glasses is really a matter of shame for the AAI, which claims to have spent more than Rs 2,000 crore on modernization of the airport.